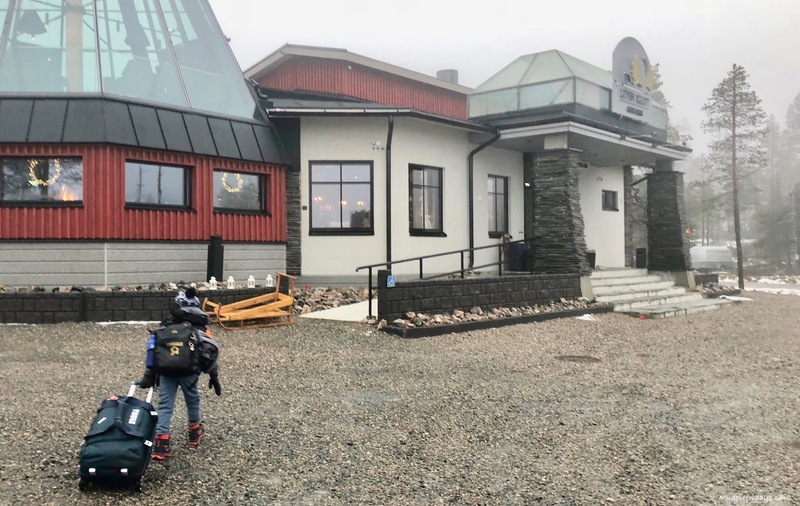 Thule Crossover Rolling Duffel Review: When Monkey and I were invited to travel to Finland for the Levi World Cup I knew that we would need some new luggage. Since with all the snow gear and warm clothes that we needed to take our old standard cases just wouldn’t stand up to the job. Having been lucky enough to review the Thule Urban Glider Stroller before I knew the quality of their products. Thule very kindly sent us some new bags for our trip – The Thule Crossover Rolling Duffel 87L and The Thule Crossover Rolling Duffel 56L. Since its a press trip I needed to take a lot of tech with me plus an iPad to keep Monkey occupied on the flight so the Thule Crossover Backpack 21L also came in very handy. 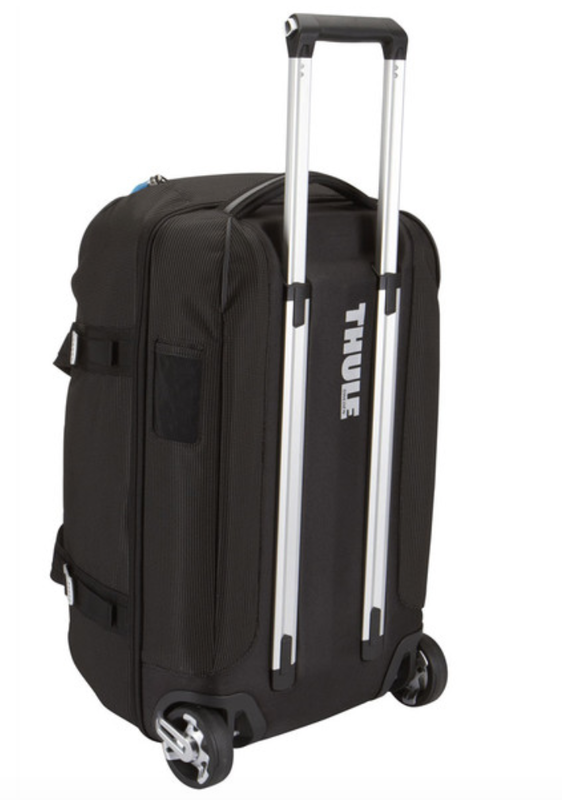 Thule make a number of different cases but I decided on these ones as I was attracted by the fact it had both a hard back, wheels like a suitcase and duffel handles. As I was travelling alone with Monkey I thought I may need to take over both pieces of luggage. Having the flexibility to put one of my shoulder would be helpful. With this in mind that was the reason I chose the two different sizes. I was hoping the smaller 56L size would be suitable for Monkey to pull around. Only when it turned up it was quite a bit bigger than I realised, so I did wonder if he would be okay. However throughout out the trip he managed to manoeuvre it himself. It was also really good for putting on my shoulder even when filled with bulky snow gear and jumpers. Not only that but there are a number of thought out features designed to make life easier. The bottom is an aluminium exoskeleton and a moulded polypropylene back panel absorb the impact of rugged travel. Which definitely got a work out while we were away. The wheels are purposefully oversized to make sure that they can roll easily over the terrain. Down the side there are compression straps which are easily altered. The aluminium hardware gives me confidence that they will stand up to knocks and scratches in transit. 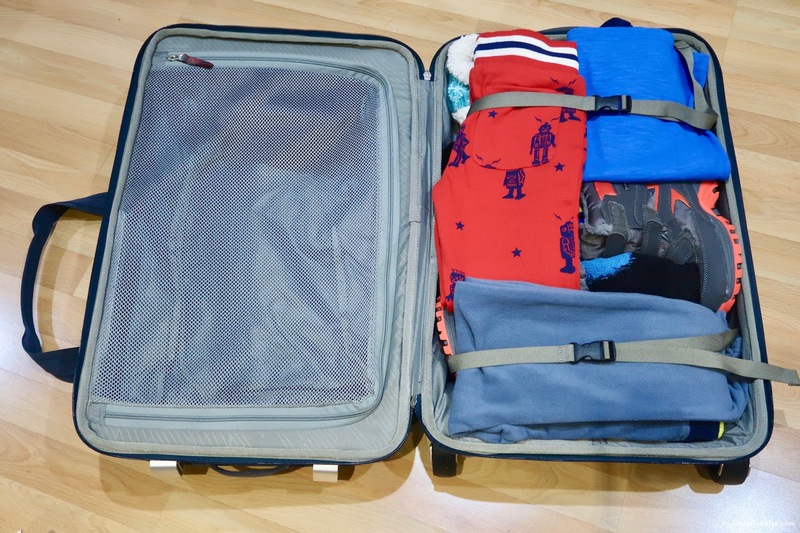 The duffels are essentially two bags in one with a divided main compartment. It allows for harder items to be placed in the back of the case to take benefit from the moulded back. With softer items in the top. Its also possible to access the top compartment without opening the rest of the case. Which meant that we put our extra layers in there for when we got off the plane. Its also possible to use it to separate wet from dry. All the zips allow for a padlock to be passed through them for security. These are not included. All three bags are designed to be water resistant which is essential when you are off adventuring. The size difference between the 56L and 87L is considerable. The quality of the bags is second to none and they have really stood up well to be being thrown around in the travelling process. I can see them being used a lot in the months to come. 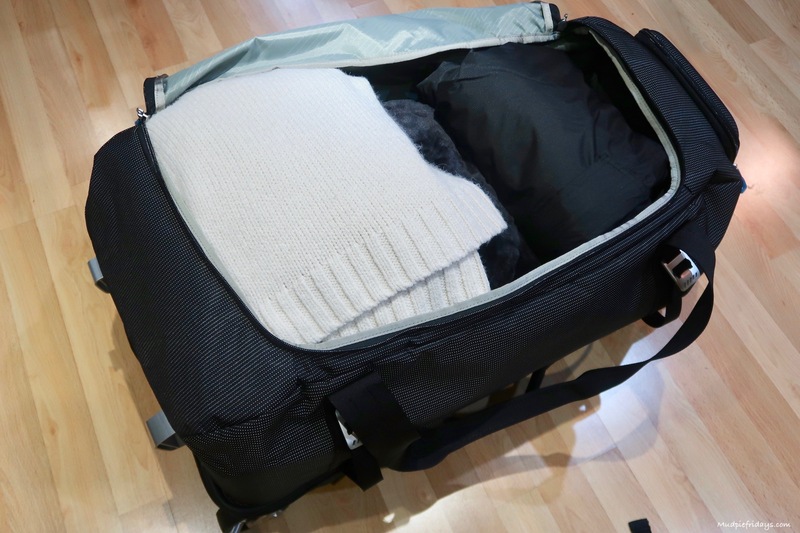 As expected quality doesn’t come cheap but if you want practical, well thought out luggage with lots of useful design features then I think you get what you pay for, with Thule being no different. I think we will be adding to our collection so that we all have a bag for our next trip. I have been on the hunt for a backpack for blogging for some time. It needs to be functional and be able to look after all the tech I have to carry around with me. 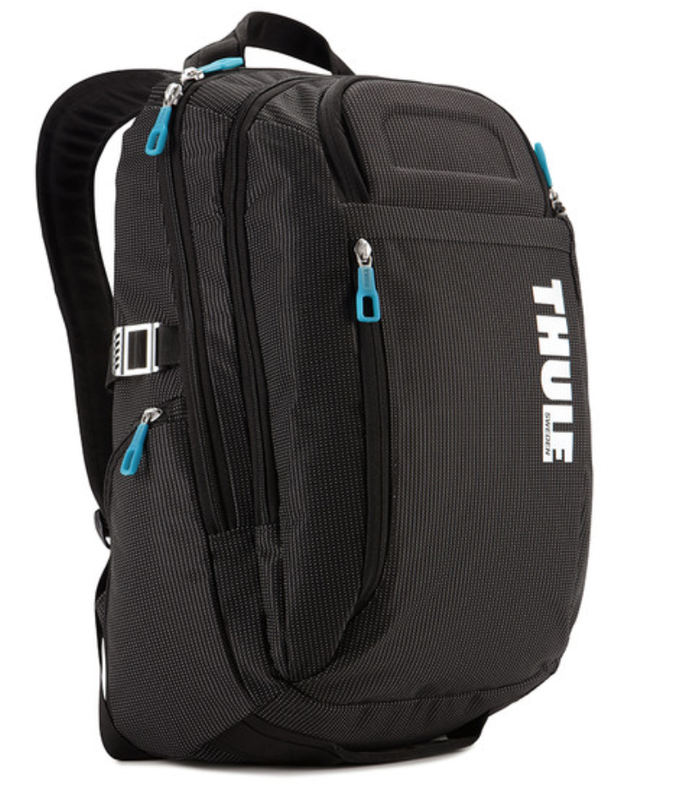 Thule has a number of different laptop bags ranging in size from 20L to 34L. I love how you can search them online by the size of the laptop or MacBook! Hence the reason I ended up with the 21L Crossover. As not only will it take my MacBook but it also has space for an iPad in the back pocket. Which is super easily accessible. Just what you need when you are travelling with children. In fact it has so many different pockets it can take a while to get the hang of where to put everything so you can find it again. But once you do, you wonder how you every lived without it. 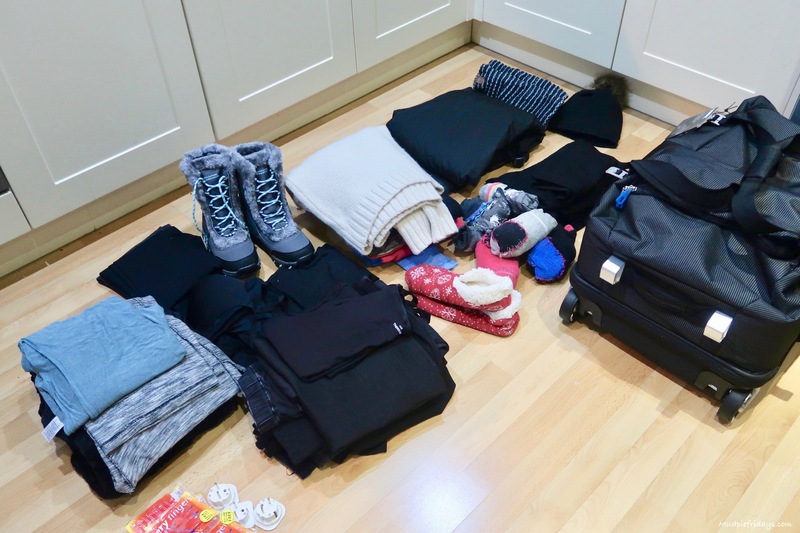 Its incredible comfortable to carry, not only was it perfect for our trip to Finland but I have also used in on a weekend away with the girls. I managed to get everything I needed in it for the weekend! Which goes to show how much you can fit into it. We were given the luggage mentioned in the post for the purpose of this review, all words and opinions are my own. Great backpack and holdall! They look nice and sturdy and have plenty little packing spaces! You pack for a trip a lot better than I do! I need to take some tips here! This looks like the perfect bag for my daughter when she goes camping! Thanks! They sound brilliant, so versatile, and the lighter weight is a huge plus. Thanks for the review. These seem like they are also easier to store when not in use, unlike most suitcases. I have been looking for a good holdall & think this could be ideal, I can’t carry them as I have disabilities so it a must that it has wheels. Im loving the idea of how much you can get into this case! Will have to seriously consider a purchase. wow looks like you can get loads in these!! fab e4sp for my eldest who finds it impossible to travel light lol. That backpack looks so amazing, it is very spacious and such a perfect bag for me to bring in every trip that I have. That luggage looks so nice, as you said has a lot of useful features. No wonder this will be the perfect luggage for me when I go on a vacation soon. I own it and I do believe it’s one of the best luggages ever! I take it to all my adventures! That looks like a cute and realistic rolling duffle. Does the wheel spin 360 angle? I’ve heard good things about this brand!! Glad you had a good experience. It is good to know they do backpacks, too. I have more backpacks than handbags! 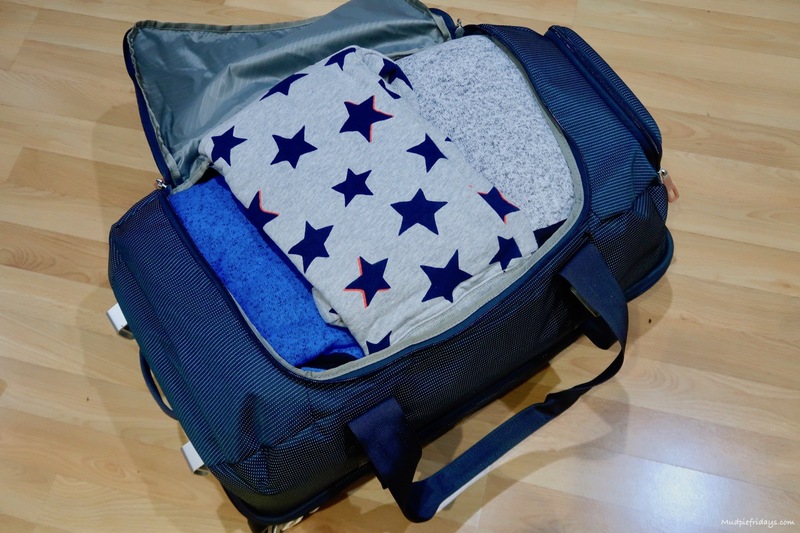 This looks like a great piece of luggage, we always struggle to make sure we can find what we need quickly when we arrive on holiday, compartments would make all the difference! 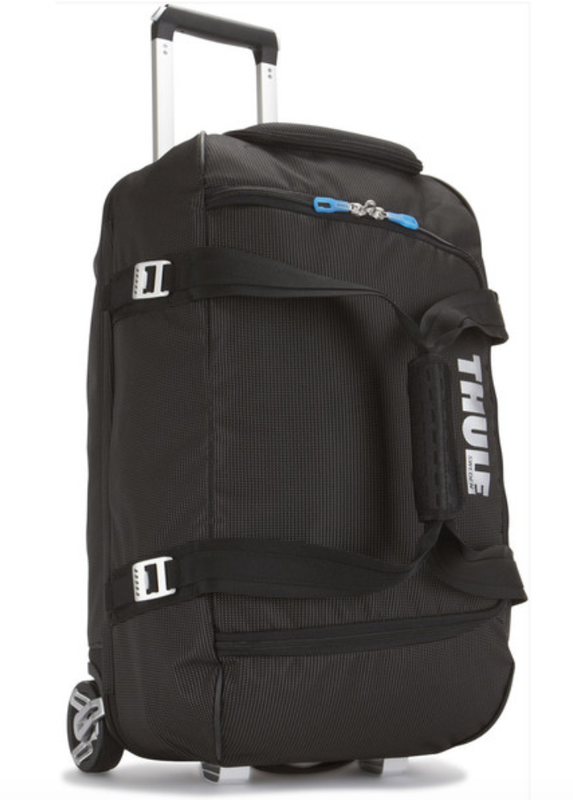 I love this product by Thule, it looks like the perfect size for packing up for a short trip. Looks like an amazing suitcase to take with you for a weekend away! I have never tried a bag of this type, but love that it looks so versatile. I love the look of your backpack! 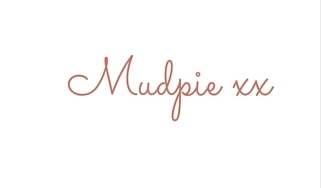 I’m recently been on the hunt for one as well, switching over from a purse or tote bag for freelancing and blogging. 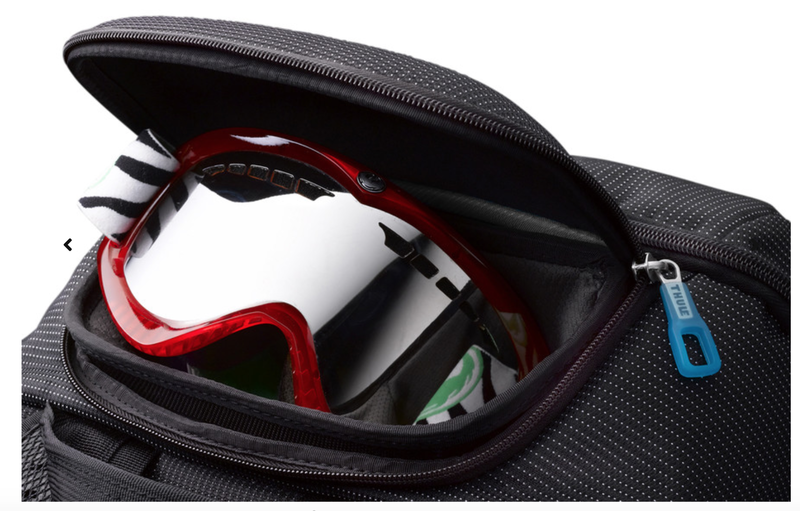 The Thule brand looks very stylish and secure for your tech. This looks like a great travel backpack. Thanks for the recommendation, i am currently looking for a new one! This looks like a great travel backpack, would be great for me who likes to pack a lot of things. Thanks for recommending.